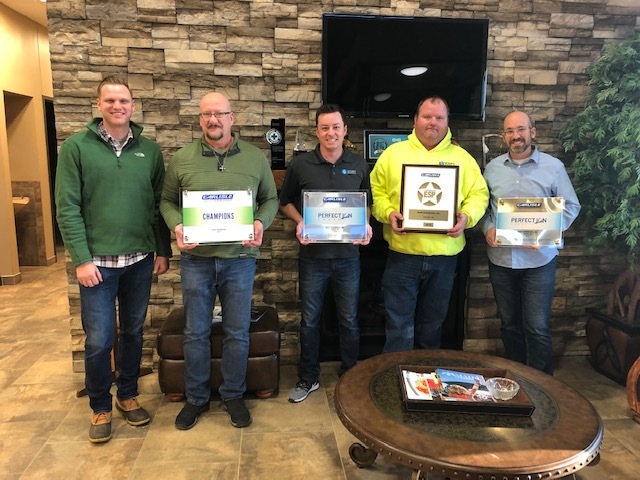 Matt Weatherly, CSI, CDT with Luna & Associates, presented Scott Enterprises from Omaha, Nebraska with several awards from Carlisle Construction Materials! Carlisle’s ESP award, Perfection Council and Fleeceback Champions! Good job, Scott Enterprises!!! 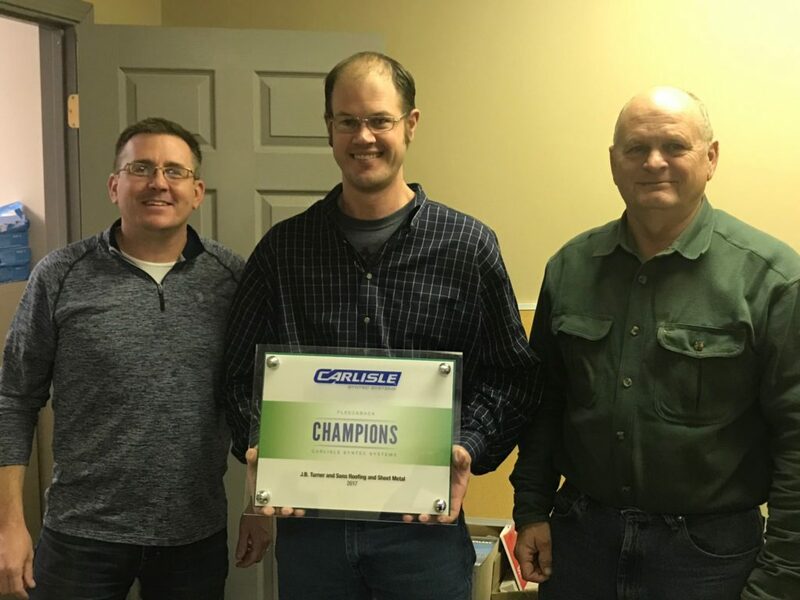 Congratulations to JB Turner & Sons from Topeka, Kansas who recently received the Carlisle Construction Materials Fleeceback Champions Award! FleeceBACK Champions are a select group of contractors who are committed to installing Carlisle’s most durable and robust roofing systems – FleeceBACK® EPDM, TPO, and PVC. Champion members are eligible for a number of exclusive benefits, including annual incentive trips that provide opportunities to network with fellow contractors and Carlisle staff while enjoying a variety of exciting excursions! Congratulations to John O’Bray (L), Brian O’Neill, and Randy Wilson (R) and the entire JB Turner team! Congratulations to Missouri Builders Service, for recently receiving the Carlisle’s Fleeceback Champions’ Club Award! Champions’ Club is comprised of a select group of contractors that are committed to installing Carlisle’s most durable and robust roofing systems – FleeceBACK®. Congratulations to the Missouri Builders Team! Congratulations to Ziemba Roofing from Hastinga Nebraska for recently receiving THREE prestigious Carlisle Construction Materials Awards! The Carlisle Perfection and Perfection Council Awards, along with ESP Award! Carlisle’s ESP is for the most loyal and dedicated authorized applicators, the Excellence in Single-Ply award (ESP) award has become one of the most recognizable and prestigious achievements in the commercial roofing industry. Pictured here are Jeff and Nate Olson, from Ziemba Roofing, along with #Matt Weatherly from L&A. Congratulations, Ziemba Roofing! 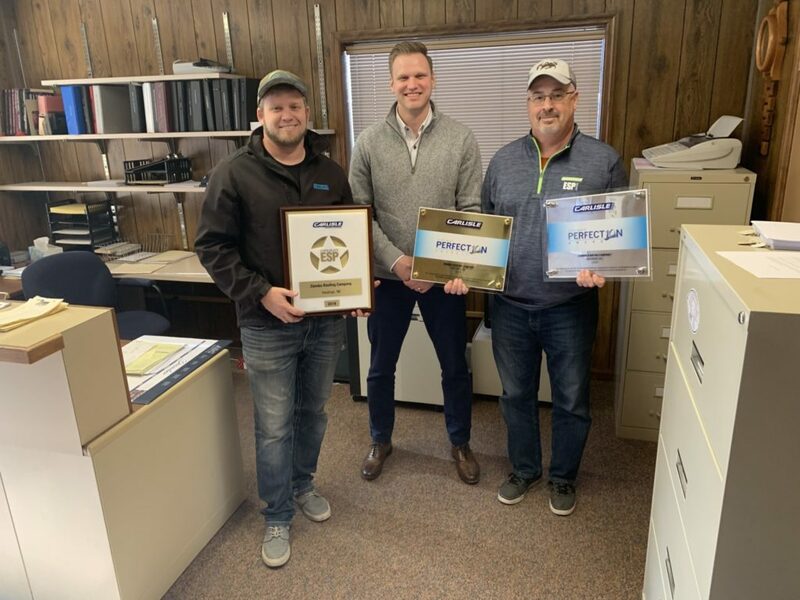 Congratulations to White Castle Roofing in Nebraska for recently receiving two prestigious Carlisle Construction Materials Awards! The Carlisle Perfection Award and Perfection Council! Carlisle maintains detailed records of every Authorized Applicators’ warranty claims history. Each year, the Perfection Award will recognize those roofers whose exceptional installation quality results in a warranty claim performance that ranks in the top 5% of all US and Canadian applicators. Of those applicators, a small number of Perfection Award winners will be selected to the Perfection Council each year. Perfection Council members are not chosen on the basis of sales volume; rather, applicators of all sizes will be considered to represent their Perfection Award peers based on their history of high performance on Carlisle installations. These applicators will serve as an advisory board throughout the year to determine how Carlisle can best support its contractor network and enhance its reputation for the highest quality roofing systems. Pictured here are (L) Dustin Williams, with White Castle, Matt Weatherly, CSI, CDT with Luna & Associates, LLC and Dane Hansen with White Castle. Congratulations to the White Castle team! Congratulations to Nick Parenza with Academy Roofing and Sheet Metal from Des Moines, Iowa for earning the Carlisle SynTec Systems, Fleeceback Champtions Award! FleeceBACK Champions are a select group of contractors who are committed to installing Carlisle’s most durable and robust roofing systems – FleeceBACK® EPDM, TPO, and PVC. Champion members are eligible for a number of exclusive benefits, including annual incentive trips that provide opportunities to network with fellow contractors and Carlisle staff while enjoying a variety of exciting excursions! Congratulations to Academy Roofing and their team! 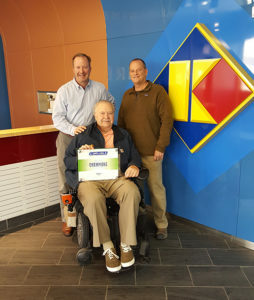 Congratulations to Kirberg Roofing for receiving Carlisle SynTec Systems, Fleeceback Champtions Award! FleeceBACK Champions are a select group of contractors who are committed to installing Carlisle’s most durable and robust roofing systems – FleeceBACK® EPDM, TPO, and PVC. Champion members are eligible for a number of exclusive benefits, including annual incentive trips that provide opportunities to network with fellow contractors and Carlisle staff while enjoying a variety of exciting excursions! Congratulations to Eric Kirberg, Doug Kirberg and Jim King and the rest of the Kirberg team! 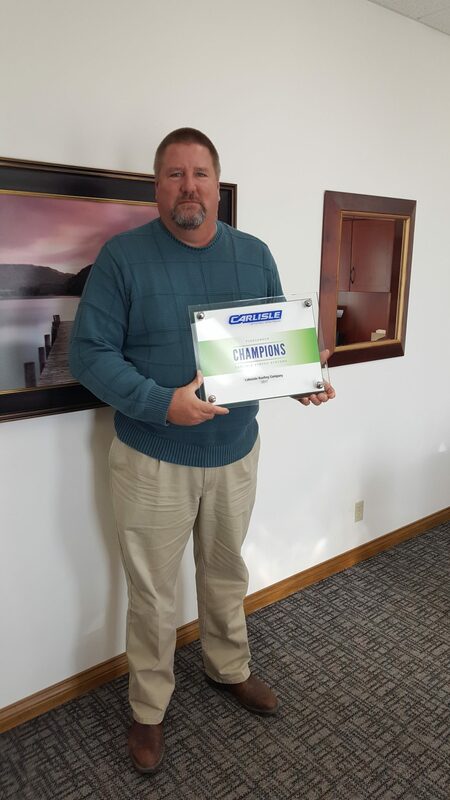 Congratulations to Lakeside Roofing Company for receiving Carlisle SynTec Systems, Fleeceback Champions Award! 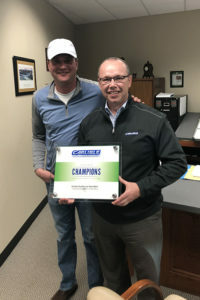 FleeceBACK Champions are a select group of contractors who are committed to installing Carlisle’s most durable and robust roofing systems – FleeceBACK® EPDM, TPO, and PVC. Champion members are eligible for a number of exclusive benefits, including annual incentive trips that provide opportunities to network with fellow contractors and Carlisle staff while enjoying a variety of exciting excursions! Congratulations to Duane Arnold and his team! Blake Mudd with Luna & Associates presented Dan Henley and Tom Caspari, owners of Missouri Builders Service, Inc. in Jefferson City, Missouri with their Carlisle SynTec Systems Perfection Council Award last week! 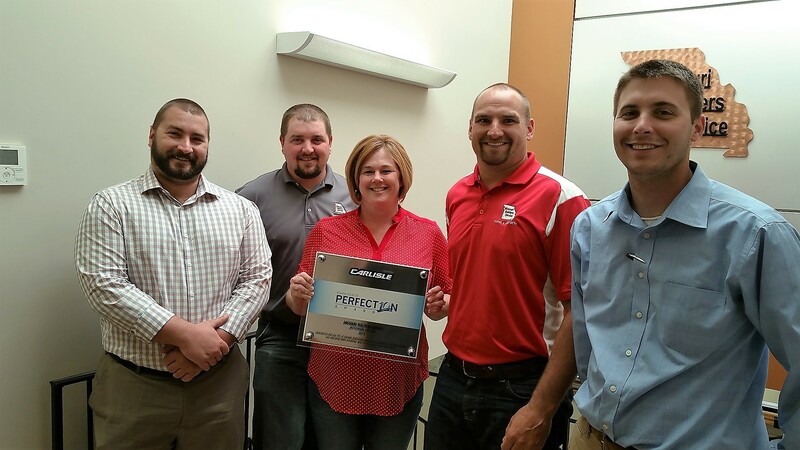 This is Missouri Builders Services eighth straight year to receive Carlisle’s Perfection Award; Fourth time in Carlisle’s Perfection Council and 12th straight year as an ESP Contractor. 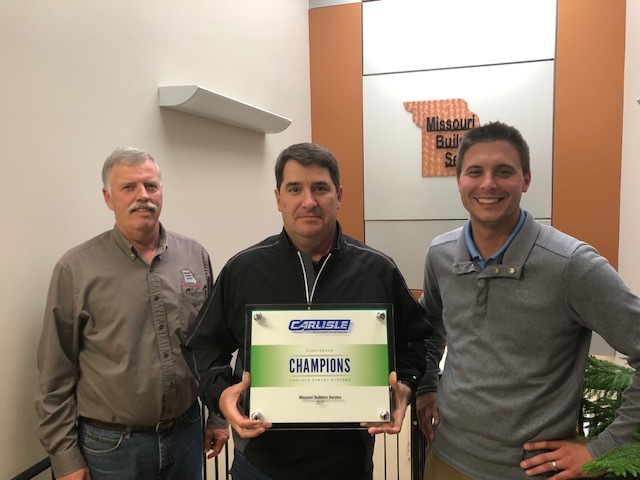 In addition, Missouri Builders Service has also received Carlisle’s FleeceBACK Champions, Centurion and Hall of Fame prestigious awards over the past years. Thank you Missouri Builders Service, Inc for being such a loyal and dedicated business partner! Carlisle maintains detailed records of every Authorized Applicators’ warranty claims history. 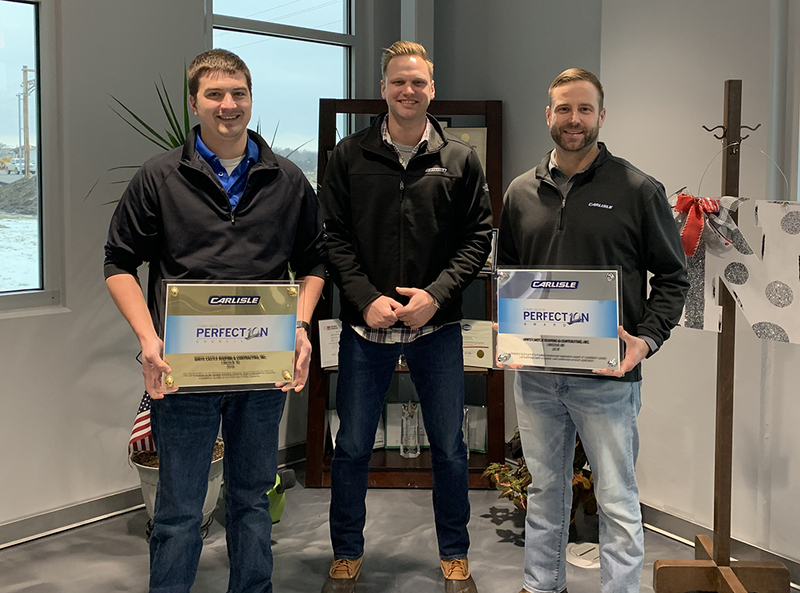 Each year, the Perfection Award will recognize those roofers whose exceptional installation quality results in a warranty claim performance that ranks in the top 5% of all US and Canadian applicators.